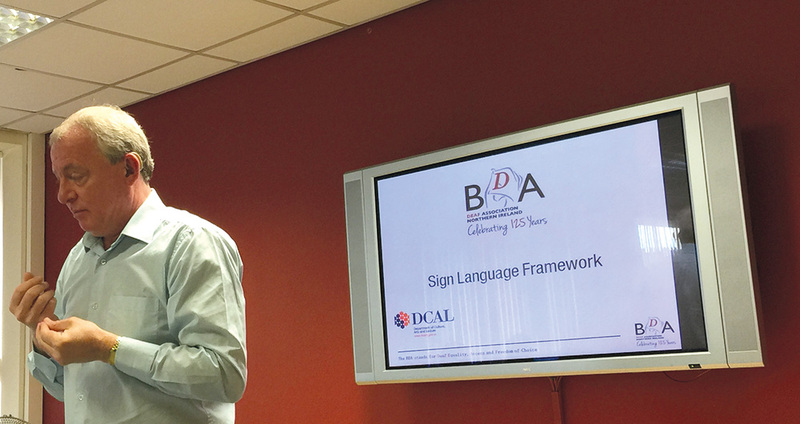 The BDA’s Majella McAteer updates BDN readers on the public consultation in Northern Ireland on a new Sign Language Framework. On the 15th of March Minister Caral Ni Chuilin made an announcement during Assembly in Stormont that she was launching a consultation on a BSL/ISL Framework. The framework aims to lay the foundations for legislation to be introduced that will protect the rights of the Deaf community. 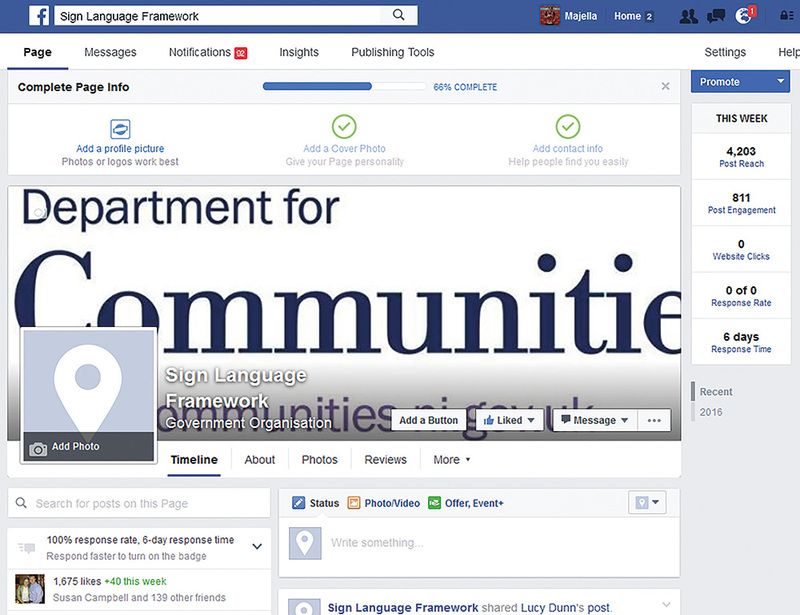 The same day a Facebook page was launched enabling the participation of the Deaf community in the consultation process. Over the 16 week period of the consultation the page received 1,890 likes, which included members of the Deaf community and government representatives. The Department for Communities (formerly known as Department of Culture, Arts and Leisure) welcomed responses from key stakeholders, alongside responses from those who had a vocational interest. DFC accepted on-line responses and responses sent in through the completed booklet. Importantly, any posts in BSL and ISL on the Facebook page were counted as a response. Representatives from DFC and BDA in partnership were responsible for monitoring the Facebook page, and BDA NI staff had the responsibility of approving the content of any posts before uploading them. BDA Northern Ireland organised roadshows to raise awareness of the consultation all over Northern Ireland. We ran ten events, including three in Belfast and others in Derry, Ballymena, Newry, Portadown, Omagh, Bangor and Carrickfergus. A total of 173 Deaf people attended. Everyone in the BDA Northern Ireland office worked really hard in promoting this to our local Deaf community, ensuring they were aware of the framework. Some staff members also taught some Deaf individuals how to film themselves for Facebook, and also how to respond in other ways. BDA also organised regular meetings with Deaf professionals from local Deaf organisations to ensure we all worked together regarding the Framework. The Facebook responses covered a wide variety of topics including access to hospitals, dentists and education, as well as sign language in the home. Deaf people also detailed improvements they would like to see happen through legislation, with each government department taking responsibility for implementing these changes. DFC will now compile a report for submission to the Minister in the Autumn, and we will keep you informed when we hear the outcome.